Shown on this page of a Stone Manor wedding photography album is one of the unique page styles of our Hand Crafted Modern Album. The notched corner and fold-out flap are characteristic of the Modern Album's pop-up book concept. 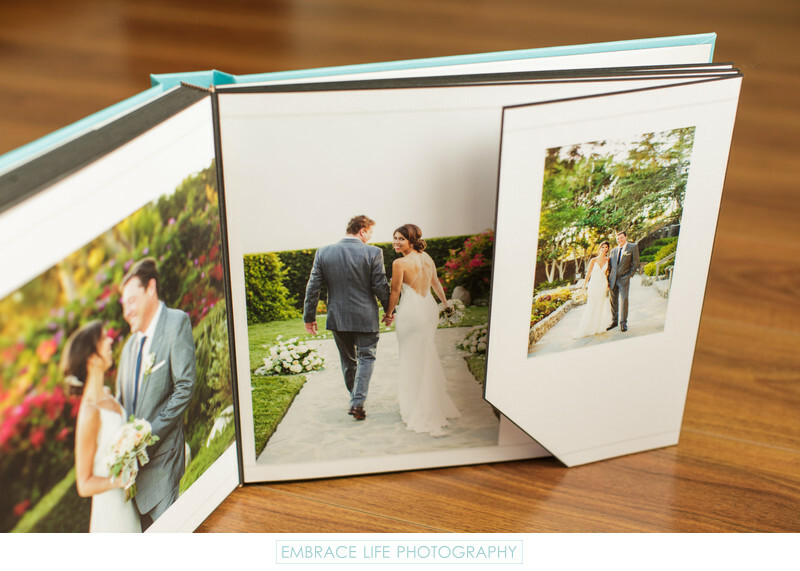 Hand made in Japan, these wedding albums have a style reminiscent of the Japanese art of origami.